October 30, 2008 Pt. 2 | Sizzle: When The Media Sizzles, You'll Find It Here! DWTS: Julianne Hough has a bedfellow in dancer Lacey Schwimmer. Following Hough’s diagnosis of endometriosis, Schwimmer found out she has it, too. Is there something in the water there?! OTH: CW has added more episodes to this season! Score! More coming to Gossip Girl and 90210, as well. We guess that’s good, too. Selena Gomez: Move over, Nick Jonas. Tweener Selena already has her eyes set on someone else: Shia LaBeouf. Join the club, Selena. 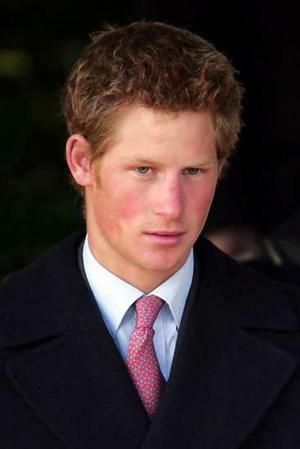 Prince Harry: The royal heir better watch out. At the Quantum of Solace premiere, he made the mistake of saying Sean Connery was his favorite Bond, rather than current star Daniel Craig. Smooth move, prince. Beatles: The iconic quartet will have a videogame of their own in the not-so-near future. It’s being made by the creators of Rock Band but no word yet on what exactly the game will be. MSNBC: Took the brunt of the beating at a recent luncheon conference on Hollywood and the media. Why is everyone so alarmed by the network’s “lopsided” coverage? Have they seen Fox News?! The View: Despite denials by show reps, sources say Elisabeth is on the way out, if Babs has anything to do with it. But what good is a show with hot topics if everyone’s on the same side? Pete Wentz: Already debating whether to sell his yet-to-be-born baby’s first pics to a magazine. We sense a great father-child relationship building already. This entry was posted on October 30, 2008 at 5:47 pm and is filed under Uncategorized with tags 90210, Addams Family, Barabara Walters, Beatles, Daniel Craig, dwts, Elisabeth Hasselbeck, gossip girl, James Bond, Julianne Hough, Lacey Schwimmer, MSNBC, Nick Jonas, One Tree Hill, OTH, Pete Wentz, Prince Harry, Quantum of Solace, Rock Band, Sean Connery, Selena Gomez, Shia LaBeouf, The View. You can follow any responses to this entry through the RSS 2.0 feed. You can leave a response, or trackback from your own site.